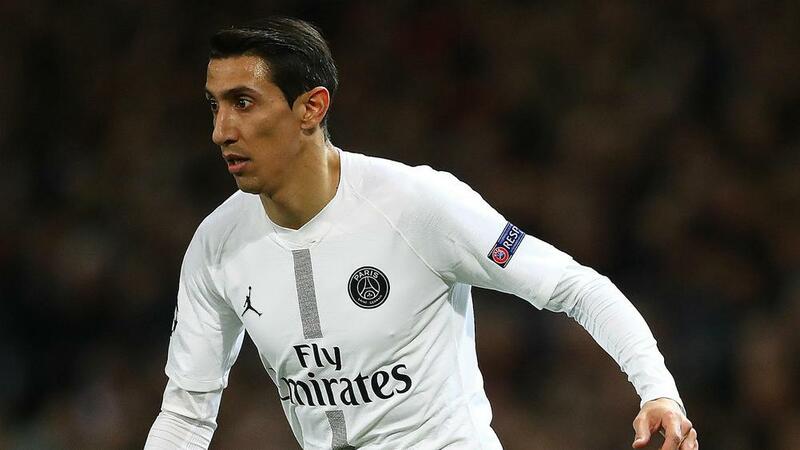 Angel Di Maria insists he has never criticised former club Manchester United but expected the frosty reception supporters gave him during Paris Saint-Germain's 2-0 Champions League victory on Tuesday. Argentine winger Di Maria was appearing at Old Trafford for the first time since a disappointing spell at United in 2014-15, playing a starring role with two assists as PSG took complete control of the last-16 tie. He arrived at United from Real Madrid for a reported £60million but failed to settle, with reports claiming he never wanted to join the club in the first place, and a fractious relationship with manager Louis van Gaal only worsened the situation. United fans were unsympathetic on Tuesday, jeering him from the first whistle and some even threw bottles after he appeared to goad the home support during PSG's celebrations of the first goal. Despite the apparent animosity between Di Maria and United's fans, he is adamant the only element of his time at the club he ever spoke negatively about was Van Gaal. "It was difficult from the opening minute, but I knew this was going to happen," he told Cadena COPE. "But I've said it in the past and I reiterate it: I never spoke badly of the people here and of this club. "These are things that happen and people took it badly. I only had problems with the coach here." United travel to Paris for the second leg on March 6.